Moses Franks, son of Jacob (1688-1769) and Bilhah Abigail Levy was born in New York. Jacob was a merchant and helped to construct New York's first synagogue. Moses was perhaps his best known son and came to represent the family's business interests in England. It is known that he was here in 1761 when he had his portrait painted by Sir Joshua Reynolds. Moses was one of a group of rich and respected Jewish residents living in the neighbourhood at that time. He became a prominent member of the Ashkenazi Jewish community in London and a participant in the re-building of the Great Synagogue in Dukes Place, in 1766, for which he donated £250. 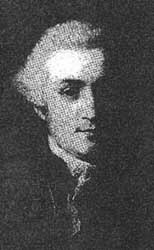 His uncle, Aaron Franks (1692-1777) who lived at Isleworth was another prime mover and Moses married his daughter Phila on 2 July 1765. She was the granddaughter of Moses Hart, the banker who lived at Gordon House. She was painted by Sir Joshua Reynolds, on her 21st birthday, in 1762 and later by Gainsborough. Aaron was a diamond merchant who had, according to Walpole in a letter to William Mann in 1742, lent jewellery to the Princess of Wales. Apparently "she was vastly bejewelled: Franks had lent her forty thousand pounds worth, and refused to be paid for the hire, only desiring that she would tell whose they were". In 1763 Moses Franks leased land in Twickenham Road to the north of the manor house from John Perkins, the lord of the manor, and had a house known as The Grove built on the site. It is assumed that he had built this house by the time he married. Although Sir William Chambers sketched a villa for Franks it is possibly not the house that was built here. He did however carry out work on the estate and is said to have designed the grounds. 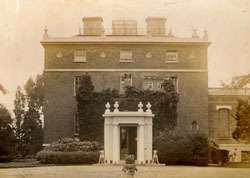 The house no longer exists, although the original stables have survived, converted to a dwelling house standing at the corner of Teddington Park Road and Twickenham Road. There is a buried feature in the garden, possibly an ice house. The Franks are reputed to have made regular visits to Horace Walpole at Strawberry Hill. Walpole noted, in 1779, that during the great storm Mr Franks' garden wall was blown down. He also records the gift of "An ancient musket, richly carved; a present from Moses Franks, Esq" on page 33 of his DESCRIPTION of Strawberry Hill. Moses and his wife are said to have been very happy and popular in the village. 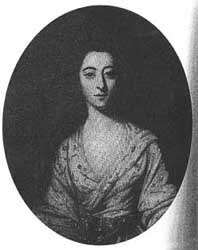 They had one daughter, Isabella, who married William Cooper, a Christian, in 1787 with the agreement of her parents. He later became Chaplain in Ordinary to George III. When Moses Franks died, intestate, in 1789 his wife was declared a "lunatic" and so his fortune passed to his daughter and her husband. "she was vastly bejewelled: Franks had lent her forty thousand pounds worth, and refused to be paid for the hire, only desiring that she would tell whose they were".